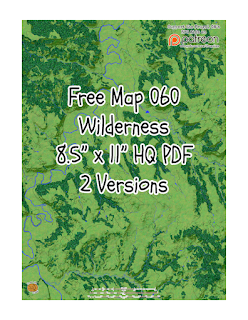 This week's free map is a nice stretch of wilderness with a nice river, some streams, and some mountainous terrain (nothing too huge though). This was another one of those, "I'm working backwards" type maps. I had a specific idea for a Tweak & Toss and thought of a good location for it. Usually I find what I think is a nice location, make a map, and then figure out how to use it. 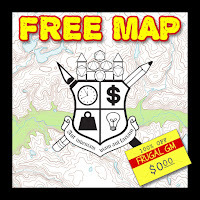 The freebie map is letter-sized with a nice white border which would allow people to print it out at 100%. There are actually two versions, one with contour lines (technically edited index contour lines) and one without. My Patrons get a much larger size of this map at 18" x 24". All of the maps are PDF. I looked at making them layered PDFs, but that jacked up the file size to large than just having two separate maps. 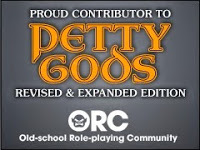 As usual, click on either graphic to go to the free maps, or use this link.